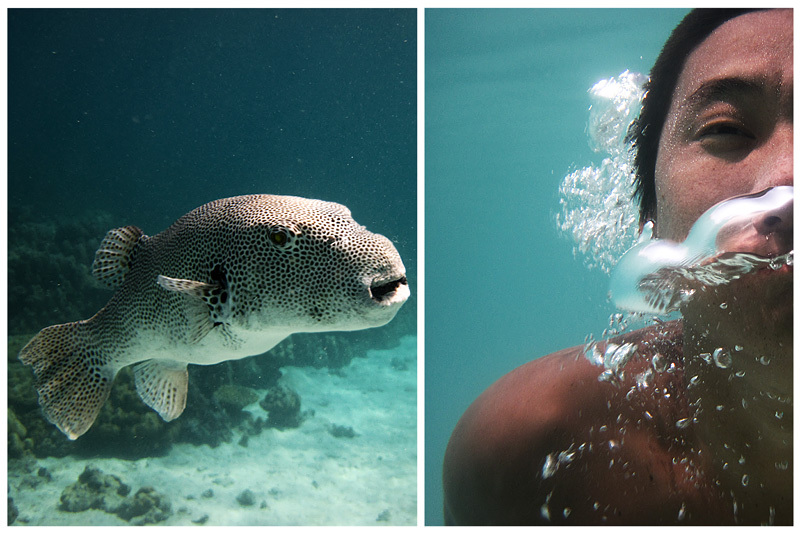 A diptych of underwater marine life around Ko Lipe: a puffer fish (left) and an intrepid photographer (right). Draw your own conclusions about the relationship of the two frames of this diptych. The only thing certain is that, as of recently, I'm showing far too many parts of my exposed body. Thanks again to Marco for use of his underwater camera and images.